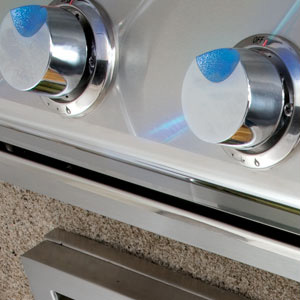 Blue decorative lights illuminate the control knobs turning your grill into the main attraction, even when not in use. The exquisite hi-polished accents add luxurious refinements to your grill and accessories. 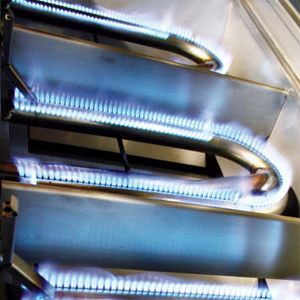 Each burner is individually contained to control heat independently from on e are to another. 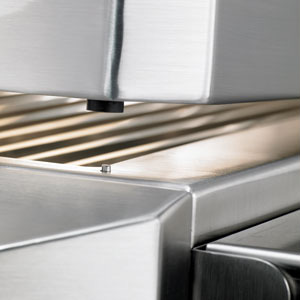 You will be able to maintain each zone with a different temperature or effectively cook with only one burner operating. 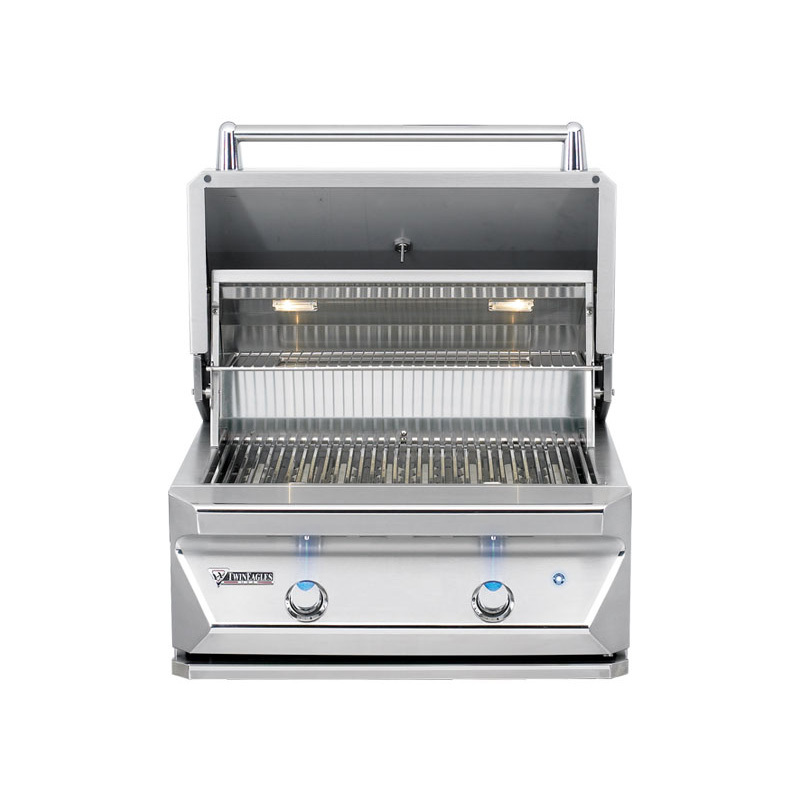 All 30″, 36″ and 42″ grills are available with or without Sear Zone. 25,000 BTUs of Direct Heat will sear your meats faster and deeper to seal in more juices. More juices mans moist, more flavorful food. 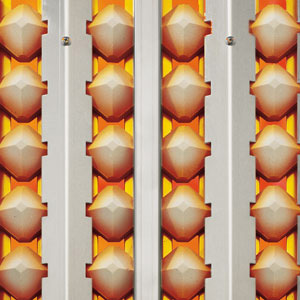 Radiant heat from our high quality ceramic briquettes mixes with direct heat for more thorough and flavorful cooking. The briquettes distribute heat more evenly while the direct heat allows your grill to preheat faster and get hotter while using less gas. Concealed heavy duty extension springs allow for easy opening and closing of the hood by reducing the weight load. 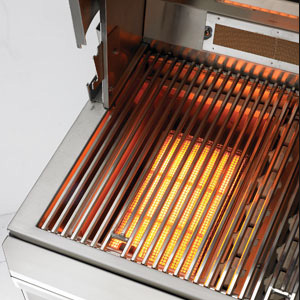 Lighting the gas burners and the rear rotisserie burner just got easier with electric hot surface glow plug ignitors. 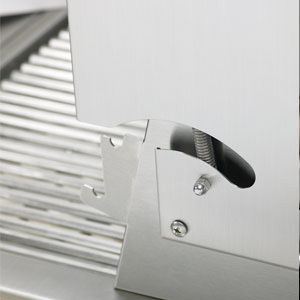 The more reliable ignitors operate by pushing in the burner or rotisserie control knob. Enhance the flavor of your food. 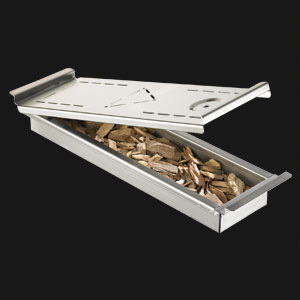 Sealed Smoker Box hold liquid for soaking hickory, mesquite or your favorite woodchips to give meat smokey flavor. 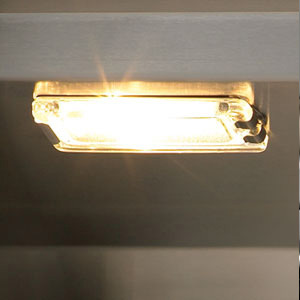 Two halogen lights illuminate the cooking surface. Advantageous for the evening barbecue, eliminating the need for external lights that may disrupt the ambience of your gathering. 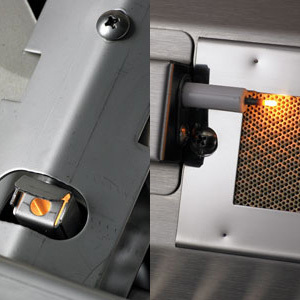 Additional switch automatically turns interior lights off when the grill hood is down to add longer life to your lights. 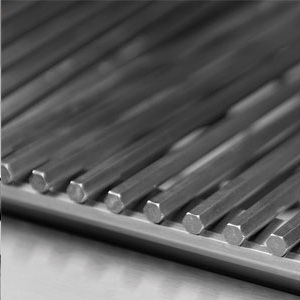 Our grills feature 3/8″ stainless steel hexagonal grates which retain more heat, enabling more heat contact to food for even cooking. Plus these grate generate dark, deep, professional restaurant style sear marks.